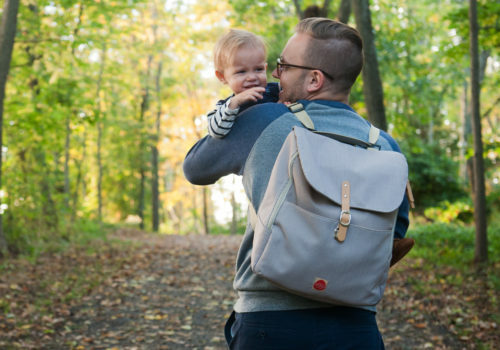 Finding high-quality, hand-made products is rare in today’s landscape of mass production. So when I find a product that meets those criteria I get very excited. 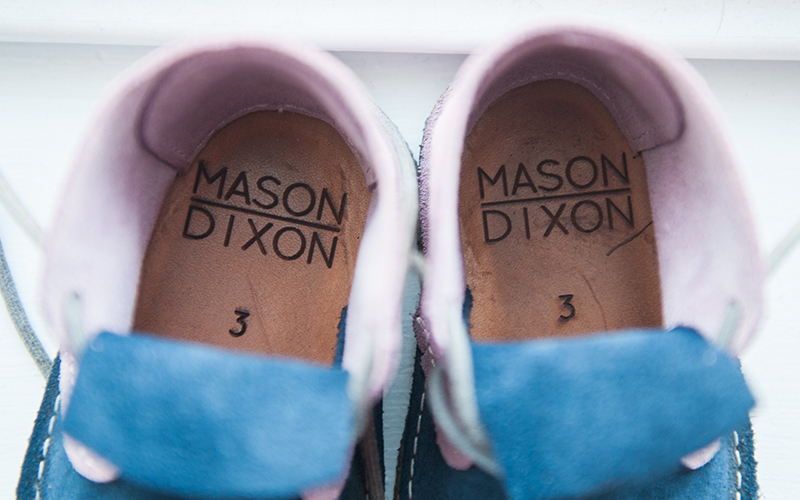 Mason Dixon shoes are some of the classiest children’s shoes that I have seen. 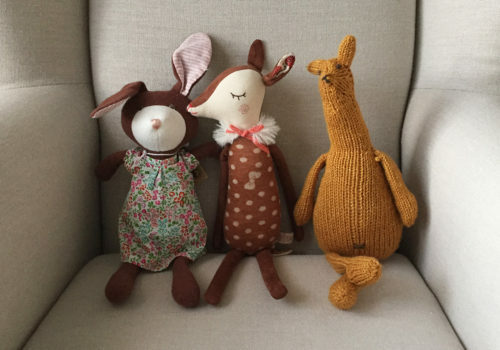 Heather Holiday is the designer and maker behind this Philadelphia based (yay for local to me!) company. She has done a great job building a solid brand which is really fun to follow on instagram. Beyond the brand and beautiful photography, the shoes are some of the best I’ve held. Inspired by the traditional derby shoe and the desert boot, our unisex leather boots are simple and stylish. They feature beautiful leathers and natural plantation crepe soling. 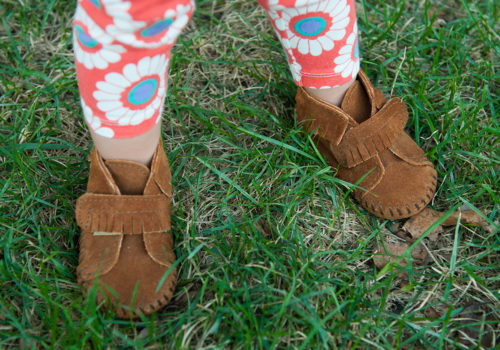 They are cut generously in the width to allow young feet to grow and the flexible sole is ideal for the developing foot. 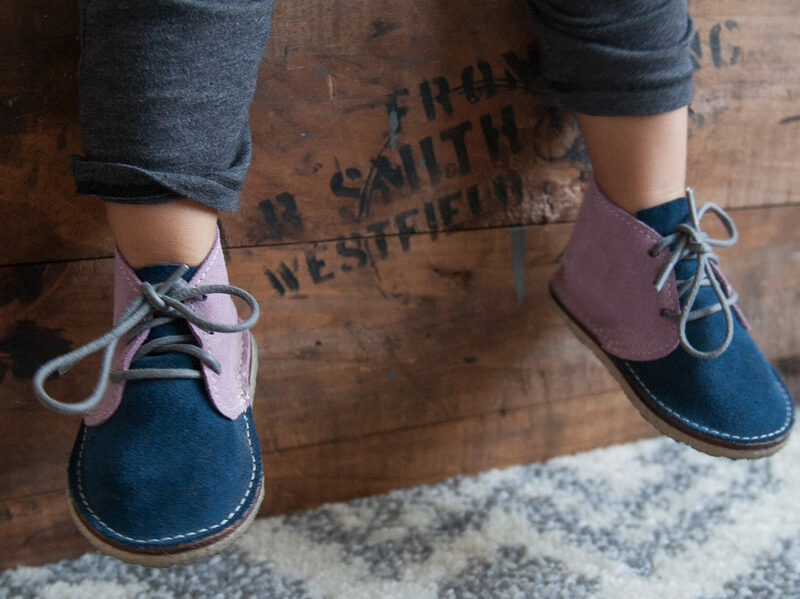 We have a pair of the pink and blue suede colorway, but each style is fun in its own right. Even the simpler taupe shoes can be dressed up with an array colorful laces; which come included with every pair. In my opinion this combination makes the best fall shoe style, I even bought a pair of the laces for my own shoes. As stated above, each shoe is hand-made; everything from cutting the leather to stitching on the sole. No detail is missed, even to the level of consistent stitch length. However, my favorite feature of the shoes may be what is not seen from the first glance. Each pair has the logo and size burned into the leather sole on the inside of the shoe. I love a good brand and I really feel like this extra touch makes these even more special and valuable. If you are afraid that these might get dirty, don’t worry a simple suede brush will clean these right up. Juniper has fallen in love with shoes and was so excited to put these on to take pictures. They are definitely a pair of shoes that we will save and pass along to future siblings and hopefully our grandkids. Make sure you check out the site masondixonmade.com and buy a pair of these amazing shoes. Full disclosure: We were given this pair of shoes for participating in the fall photo shoot for Mason Dixon. I was not paid or asked to blog about the shoes. All of these opinions are my own.